The Christina Grimmie Foundation announced today the September 25th date for its second annual Gala fundraiser at the Taglyan Cultural Complex in Hollywood. The evening will honor the Ventura County District Attorney’s Ellie Liston Crime Victims’ Assistance Program with its Inspiration Award. 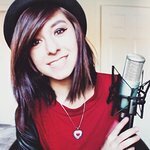 The Ventura County team has become an integral partner of the Christina Grimmie Foundation. A second award, the Trailblazer Award, will be given to Kurt Hugo Schneider and Michael Schneider for helping launch the Foundation and being such ardent supporters. The evening will be hosted by TV personality and AwesomenessTV producer Hunter March. Tickets may be purchased here. Hosting for a second year in a row, Hunter March is a Scholastic author, AwesomenessTV producer, and TV personality now hosting Sugar Rush on Netflix. He began at AwesomenessTV as a coffee-fetching intern, became a producer 3 days later, and over the 5 years since starting there he has become the face of the channel with nearly 5 million subscribers. Since its initial fundraiser last October, the Christina Grimmie Foundation has given out nearly $50,000 in grants to families dealing with the tragedy of gun violence as well as those fighting the devastating diagnosis of breast cancer. The Foundation has also added Ambassadors who were survivors of the Pulse shooting, Route 91 Las Vegas shooting and the Parkland School shooting. The event is open to the public and features a VIP reception, gourmet dinner, complimentary wine, terrific live music, a raffle and a one-of-a-kind Silent Auction. The date was selected as it is the National Day of Remembrance for Murder Victims. Sponsorships are available and additional donations are welcome. Tickets can be purchased by texting ‘CGFGala’ to 855-735-BIDR (2437) or by visiting here.